Our copyright policy sets our how you may or may not reuse content found on our website. Avon Fire Authority retains copyright for all text on pages within the www.avonfire.gov.uk domain, unless otherwise stated. the material produced is published or distributed without charge. Avon Fire Authority retains copyright for all photographs and videos made available via its website www.avonfire.gov.uk unless otherwise stated. 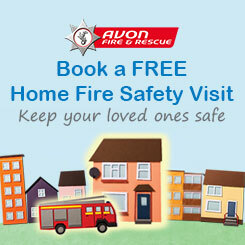 These photographs and videos may not be used unless a licence is first obtained from Avon Fire Authority. Requests should be made using our general enquiry form.